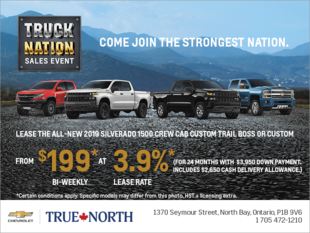 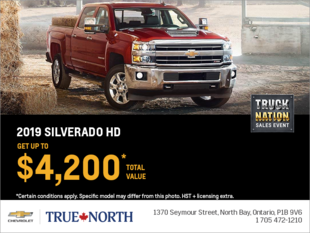 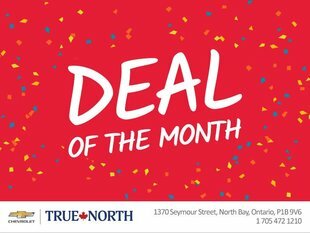 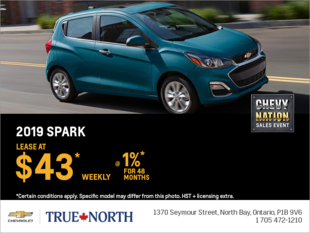 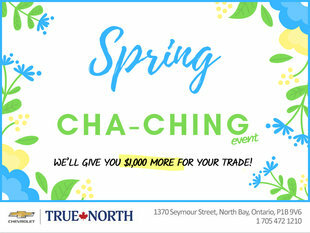 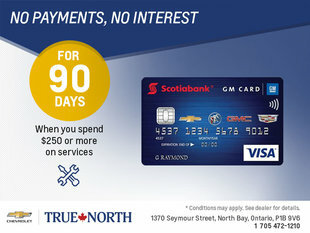 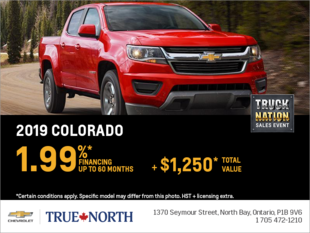 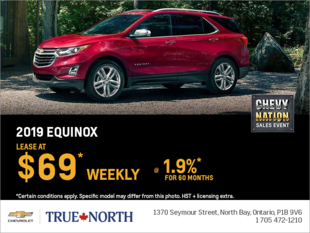 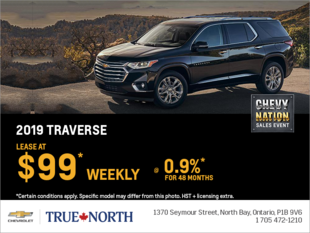 True North Chevrolet has exciting special offers on all of its vehicles, products and services. 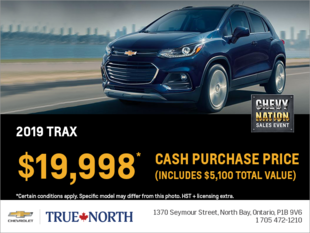 Whether you’re buying a new or pre-owned vehicle, or servicing your Chevrolet, you'll always get more for your money at True North Chevrolet. 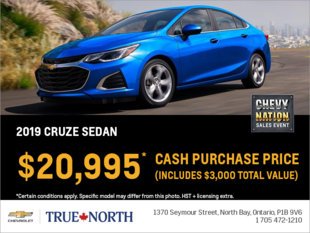 True North Chevrolet helps you save on the purchase of a new or pre-owned Chevrolet sedan or on the purchase of a new Chevrolet truck or SUV. 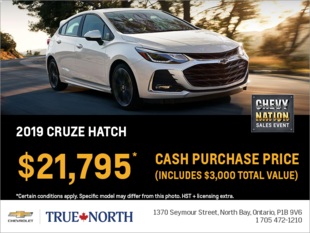 At True North Chevrolet, we offer discounted interest rate financing offers, cash-back rebates, and purchase or lease discounts. 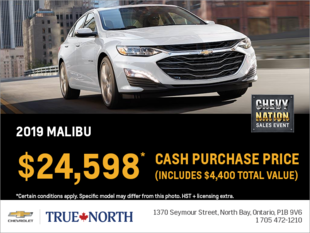 We also have special offers available for the purchase of pre-owned vehicles, as well as several advantageous financing offers on the purchase of a certified pre-owned Chevrolet vehicle. 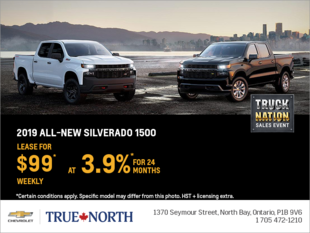 Our after-sales service departments also have several special offers on all our services, from maintenance to summer and winter tires and other genuine Chevrolet parts and accessories. 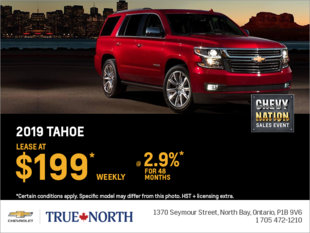 To learn more about our offers, contact us today at True North Chevrolet!